Clark Seif Clark provides indoor allergen and air quality testing services to identify exposure issues so those with allergies can find relief. Indoor allergen testing services help to pinpoint specific allergens so that corrective actions can be taken to eliminate or reduce exposure to these substances. For the millions of Americans with respiratory allergies, asthma or COPD, their home or office can sometimes be the source of allergens that can trigger or aggravate their condition. According to the American College of Allergy, Asthma & Immunology, nasal allergies are estimated to affect close to 50 million people in the United States. Allergic rhinitis alone results in more than 13.4 million visits to healthcare providers each year. The end result is millions of dollars in medical costs, increased absenteeism and lost productivity. 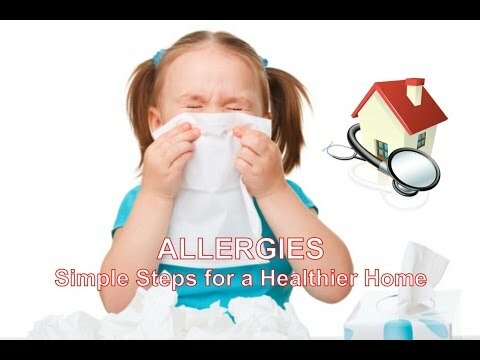 Some of the most common indoor allergens are associated with mold, dust mites, latex, pollen, pets, rodents and cockroaches. Fortunately, there are indoor environmental quality professionals, such as Clark Seif Clark (CSC), who provide environmental allergen testing services. Testing can quickly identify these allergens in people’s homes, schools and work environments. Dust the home frequently, but do not simply aerosolize the dust during cleaning. When cleaning, use products that do not emit harsh chemicals and volatile organic compounds (VOCs). Vacuum frequently using a machine with a HEPA filter. Regularly wash bedding and children’s stuffed animals in hot water to control dust mite concentrations and to remove other allergens. Don’t forget to have drapes and window blinds cleaned on a regular basis. Install quality furnace filters and regularly change them. Consider using a portable air filtration device, but steer clear of machines that produce ozone. Be sure the home is properly ventilated so that pollutant concentrations do not build up indoors and that excess humidity can exit the building. Keep the home cool and the relative humidity low to decrease mold growth and dust mite populations. If allergic to outdoor pollen, keep doors and windows closed during times with high pollen counts. Check for signs of leaks, water damage and mold growth throughout the entire home. Don’t allow smoking indoors and minimize or eliminate the use of candles and air fresheners. Don’t leave food out that could attract cockroaches or rodents into the home. Keep indoor plants to a minimum if people are allergic to pollen or mold that can grow on the plants or in their containers. Bathe pets regularly and keep them out of bedrooms. To learn more about allergen or other indoor air quality, occupational, environmental, health and safety testing services, please visit www.csceng.com, email csc@csceng.com or call (800) 807-1118.